HOLDEN, Mass. – This game certainly lived up to the hype. 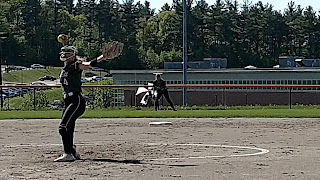 Wachusett Regional and Hudson, two of the more-dominant softball programs in Central Mass., locked horns in a much-anticipated bout on a warm, breezy Monday afternoon. 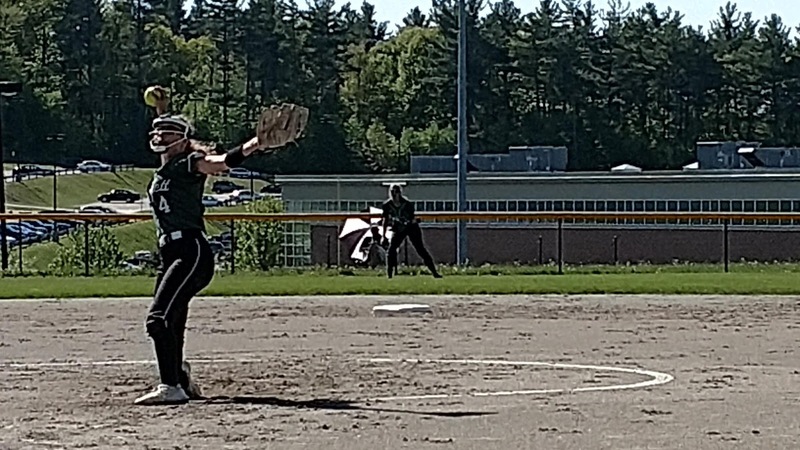 In a classic pitchers duel, Wachusett managed to do just enough, plating a single run in the fourth inning while Country Lanpher struck out 10 on the mound for a 1-0 victory over Hudson. With the win, the Mountaineers remain perfect at 15-0. The Hawks, losers of two straight, drop to 13-2. "The girls love playing these types of team and Hudson is certainly a great team," said Wachusett first-year coach Jason Lanpher. "They are probably the best Division 2 team in Central Mass., and one of the better teams overall. This was a playoff-like game for sure today. With both offenses struggling to get anything started, Wachusett finally found a bit of magic. In the deciding frame, Courtney Lanpher led off with a bunt single. Jordin Laraia's followed with a bunt single to put a pair of runners on. With two runners now aboard and nobody out, Paige Arvidson reached on an infield single to load the bases. After Hudson lefty ace Sophia Togneri retired the next batter for the first out, Brigid Griffin came through with a bloop single into shallow centerfield plating Lanpher. Togneri (CG, 1 ER, 4 H, 0 BB, 7 Ks), set down the next two batters to keep it a one run contest. "(Togneri) is a tough pitcher so sometimes when you are facing a tough pitcher like that you need to break the ice some way or another," Lanpher said. "Small ball worked for us today. We were able to get a pair of runners into scoring position and were finally able to get someone across." Togneri's counterpart was equally impressive inside the circle. The junior in Lanpher surrendered six hits, struck out 10 and walked one. On three different occasions the Hawks were able to place two on base only to see Lanpher dance her way out danger and come away unscathed. In the opening frame, Hudson placed two runners on before Lanpher pitched her way out of trouble. In the fifth and sixth innings, respectively, the Hawks again threatened again after putting two runners on but the junior rose to the occasion by picking up some key outs to keep Hudson at bay. In the Hawks' seventh, Ali Banks opened the inning by roping a single into left. After moving to second on a SAC bunt, Hudson appeared to be in prime position to even matters. But Lanpher (8-0) was able to bear down by punching out Maggie Baker and Natalie Bishop to close things out. "Courtney has just one mind-set," said Lanpher of his daughter. "She is here to pitch and it doesn't matter who is in the other dugout. She is always going to compete. That was a great team today to compete against and Courtney was ready for it."